Og 1.057 fg 1.016. Abv 5.4% ibu 25. 10 gallon batch. Boil. 13 gall. 60 min boil. Grain. Bill. Eff 75% 18 lbs. Pilsner. 70.7%.1lbs pale wheat 3.9%. 4 lbs pale 2row 15.7% . 1 lbs flaked oats 3.9% . 1 lbs carapils 3.9% hops. 60 min. 2oz. Perle hops. 30 min 1oz. 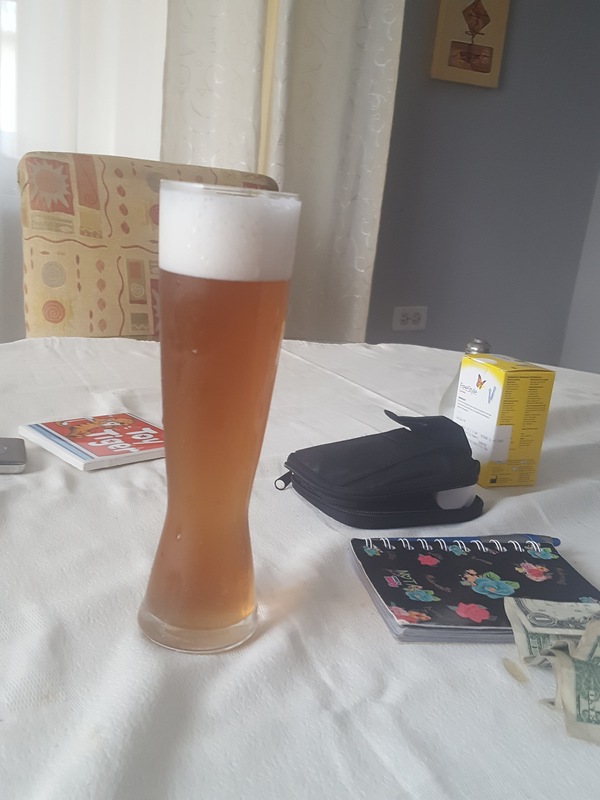 Saaz.15min 1oz Saaz. 10min. 0.5 oz Hallertau 5 min. 0.5 oz. Hallertau. At 15 min irish moss. At 10 min. Yeast nutrient. Yeast i did use kviek voss. Due to the heat here on island. So with all the issues in Venzuela are you guys still gettin Polar delivered to the island??? Good looking beer. Wow that's a lot of carapils! I've never used more than a few ounces. Did you decoction mash it? Very nice color. Looks delicious and nice pour @wilcolandzaat. I too thought that was a ton of carapils but it is a 10 gal batch. I brew mostly 10 gal batches and only use 3-4 ounces of carapils. My main reason for using it is to help head retention and lacing. I only brew 5 gal batches and would normally use 5-6 ounces per batch for same reasons as @dannyboy58 but I haven't used it lately in my NEIPA's. Not sure how using too much would affect the taste but I guess I could save a few cents per batch by lessening the amounts. Carapils is dextrine malt. Doesn't really impart any flavor or color. No need for it if you do a decoction mash.